Queensland is on the cusp of a housing boom fueled by Sydney and Melbourne’s property woes, with a leading analyst predicting interstate migration to hit a record high by next year — putting upward pressure on home prices. New research by Place Advisory provided exclusively to The Courier-Mail forecasts gross interstate migration to the state could surge to more than 120,000 by the end of June 2020, if current trends continue. That would surpass the level reached in 2002, which was a catalyst for double digit house price growth. The number of southerners flocking to the Sunshine State is at its highest level in 14 years — and it’s not just because of our warm weather and world-class beaches. Queensland recorded a gross interstate migration gain of 105,938 people in the 12 months to the end of June 2018, according to the latest Bureau of Statistics figures, with almost three quarters of them coming from Sydney and Melbourne. Place Advisory director Lachlan Walker said the last period of decent home price growth in the state was between 2002 and 2008 when interstate migration was high and the economy was flourishing. “We haven’t really seen real price growth since 2008,” Mr Walker said. But he said that could be about to change, with a period of price growth in the range of around 7 per cent on the horizon. “From now, we could start to see price growth for the first time since the last real cycle,” he said. “We’re relatively affordable now compared to everywhere else on the eastern seaboard and job opportunities are starting to arise, which should result in higher demand and higher prices. “Realistically, we’re probably looking at 5, 6, 7 per cent (growth). According to the Real Estate Institute of Queensland, major infrastructure projects are forecast to inject $17 billion into Brisbane over the next six years. “This sort of expenditure is boosting confidence, a key measure of market strengthening, among most property industry stakeholders,” REIQ chief executive Antonia Mercorella said. Ms Mercorella said those projects were set to create nearly five per cent of the current employment levels in Brisbane during the construction phase alone, with flow-on employment upsides during the operating phase. She said that would likely result in a drop in the state’s jobless rate. The REIQ cites tourism as one of the most promising growth industries driving the local economy. Queensland tourism industry development minister Kate Jones said international visitor expenditure grew 11.5 per cent — more than double the national rate. 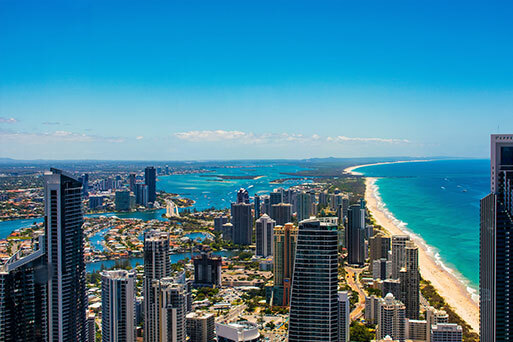 International and National Visitor Survey data reveals a record 22.8 million domestic visitors spent $17.6 billion in Queensland in the year ending September 2018 — more than 12.5 per cent growth in expenditure year-on-year. Local agents say affordability, lifestyle, Queensland’s improving economy and infrastructure investment are the reasons most interstate buyers are looking to the state to buy a home. Place Estate Agents managing director Sarah Hackett said she had been inundated with inquiries from interstate buyers since the start of the year. “I did my first open house on January 5 and thought no one would be there, but the numbers were massive,” Mrs Hackett said. “I had five families through, four were from interstate. Mrs Hackett said the majority of potential buyers were looking for a lifestyle change, an escape from the Sydney and Melbourne rat race and more bang for their buck. “One couple was telling me that for $1.5 million, they could only get a two-bedroom apartment with one bathroom and not renovated (in Sydney),” she said. She said many were even moving to Brisbane and commuting to work in Sydney. Mrs Hackett said the influx of interstaters would help Brisbane house prices. “I think it’s a real opportunity for us as sellers in the area,” she said. But not everyone is as optimistic. New research by property firm, CoreLogic, reveals the nation’s combined capital cities are heading for their largest downturn since 1980 — although Brisbane looks set to get off lightly. 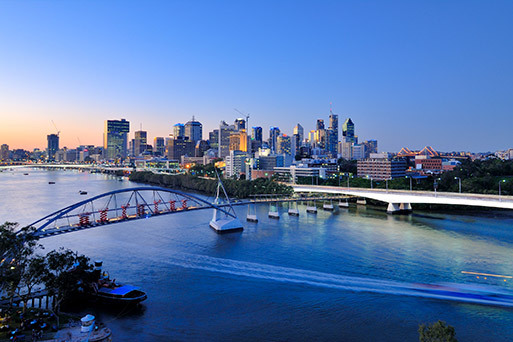 CoreLogic analyst Cameron Kusher said that while Sydney and Melbourne had recorded substantial increases in dwelling values over recent years and were now seeing large falls, Brisbane never saw anywhere the magnitude of growth. Mr Kusher said Brisbane home values peaked in April last year and had since declined by one per cent. “To date the fall is moderate, however, with housing market weakness entrenched, values are expected to move slightly lower or, at best, hold firm over the coming months,” Mr Kusher said. Nerina Pratt recently moved from Sydney to Brisbane for work and is renting in the city, but looking to buy a home in the near future. Ms Pratt said she was enjoying the more “laidback lifestyle” and the affordability Brisbane offered compared with Sydney. “It’s definitely a change of pace,” she said. Originally published by Elizabeth Tilley in Realestate.com.au here.